On Friday morning CNN correspondent Pamela Brown was interviewing Jim Obergefell, the lead plaintiff in the Supreme Court marriage case, unaware that the White House was on hold. President Obama wanted to congratulate Obergefell on the court victory. "I had no idea," Brown said, but she found out soon after she finished the interview. Minutes later, an extraordinary moment was heard live on CNN around the world: Obergefell speaking with Obama via speaker phone. Brown held her microphone up to the speakerphone so viewers could hear. In a telephone interview later in the day, Brown called it "a moment I will never forget for as long as I live." 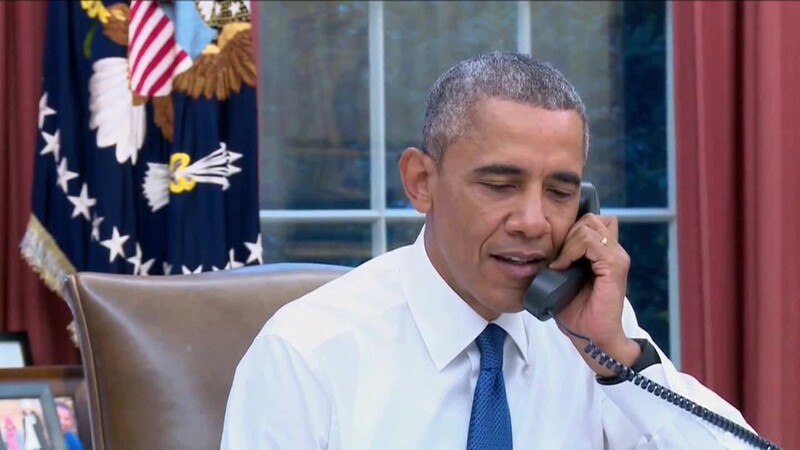 President Obama calling Jim Obergefell. She credited "timing and luck" with the moment, which quickly went viral and worked its way into White House promotional materials about the court ruling. The moment almost fizzled out. Brown wrapped up with Obergefell and tossed to anchor Jake Tapper, and Obergefell began to move on to his next interview on the steps of the Supreme Court. Obergefell was being assisted by staffers from the Human Rights Campaign, a civil rights advocacy and lobbying group. An HRC aide answered the phone while Obergefell was live on CNN and had to put the White House on hold. Apparently the White House switchboard had another presidential call to place, because there was a brief scramble to get Obama's office back on the phone. CNN legal analyst Elizabeth Wydra had helped arrange Obergefell's initial interview with Brown. She suggested to the HRC staff that CNN's cameras be rolling when the presidential call took place. "They knew it would go worldwide, and I think that was part of the calculus," Brown said. CNN's Washington control room was alerted to the possibility of what was coming. Once Obergefell was back in sight of CNN's camera position, and once the White House switchboard was back on the line, Brown was told, "Let us know as soon as that phone's handed to him." The timing worked out perfectly. Tapper tossed back to Brown with just enough time to hear Obama say, "Hi, is this Jim?" 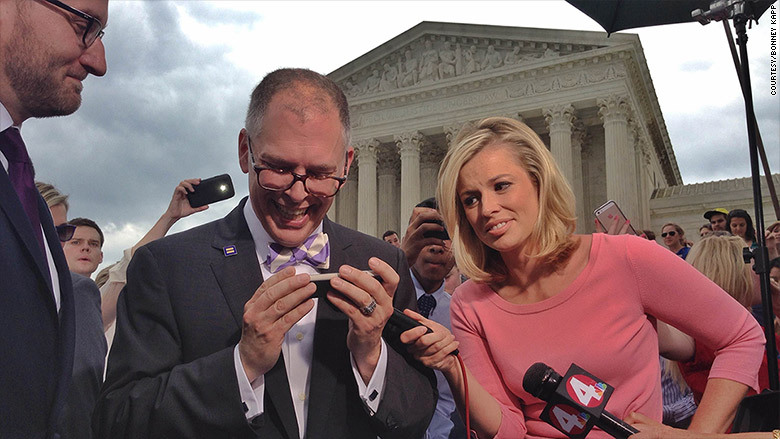 "Yes, it is, Mr. President," Obergefell said. Obama said congratulations and told the plaintiff, "Your leadership on this, you know, has changed the country." Right after the call ended, Brown asked Obergefell how it felt to hear from the president. "It's stunning," he said, calling it an honor. The White House had a videographer in the Oval Office as Obama placed the call. On Friday afternoon the White House released a YouTube video that spliced together CNN's perspective, from the courthouse steps, and Obama's perspective, seated at his desk in the Oval Office.